“The Republic guarantees religious and civil liberty, equal rights and equal opportunities to all its citizens, and declares its resolve to pursue the happiness and prosperity of the whole nation and of all its parts, cherishing all of the children of the nation equally, and oblivious of the differences carefully fostered by an alien Government, which have divided a minority from the majority in the past”. One of the criticisms voiced during the election campaign was the disconnect of the Government and elected representatives from the people. Also voiced was the idea of two Irelands – those with and those without. In listening to people with an intellectual disability, without doubt there is a shared understanding that respectful engagement is often absent in how the structures of the state and their employees engage with them and indeed with their parents and family members. This is very apparent in the lack of understanding about meaningful participation in the planning and delivery of services. Yes, some services have Boards of Management where parents are represented – but meaningful participation? Some statutory groupings on disability allow for discussion but not real meaningful engagement. Yes, since 1916 the lives of people with an intellectual disability have changed in many ways as has the economic wellbeing of the State, albeit the latter more recently experiencing the consequences of poor financial regulation. It is telling, however, that in the hundred years since, there has not been an active and real discussion on formulating a lived social policy – as envisaged in the proclamation and referenced above. 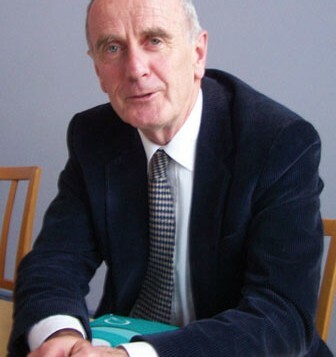 Declan Costello’s “Towards a Just Society” document attempted to formulate some understanding of social policy on behalf of the Fine Gael Party, which was finally expressed in the party’s 1965 General Election Manifesto. Yes, many of the points made in this document were subsequently legislated for, but not to the extent that it prevented so many of the children of the nation now living in hotel accommodation because of homelessness. Dr Ciara Meehan of UCD cogently makes the point that “social reform and social progress are not luxuries which we must wait for until economic development has reached a certain point”. The absence of leadership on social policy formulation by our legislators means the marginalised in our society have become more marginalised – a marginalisation incentivised by active support, for example, for the private sector to build unaffordable houses, as opposed to what happened in the past, where many people were publicly housed at a time when there was economic stagnation in the country – now that was a social policy achievement. The Taoiseach, Mr Enda Kenny, at the McGill Summer school tried to reclaim some of that space when he stated that true freedom only existed where ‘economic and social conditions permit the full development of the human personality’. What does all this mean for people with an Intellectual Disability? The main consequence for people with an Intellectual Disability is continuing marginalisation, fostered in part by the State’s attitude and unwillingness to promote active and necessary participation in the formulation of service design and delivery of services. This lack of engagement displays no understanding of the real meaning of the “development of the human personality”. The absence of real and meaningful engagement is not confined to people with an intellectual disability, but also to young people who need to access a mental health service that is fit for purpose. The same can be said for many people of Ireland who need support. The articles in this issue are a testament to the resilience of people with an Intellectual Disability.